From their first steps in the African grassland to their first time using their trunks to drink water, baby elephants are fascinating and beautiful creatures! 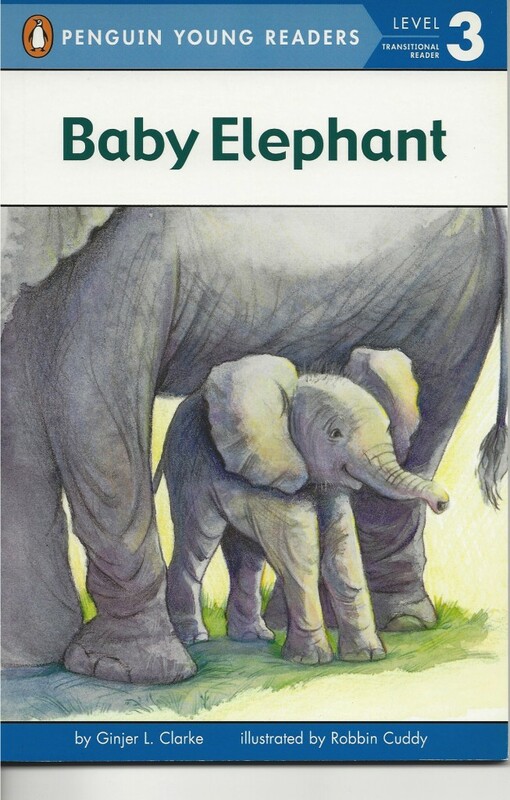 Learn all sorts of interesting facts about baby elephants in this Level 3 reader. I LOVED this book and I really hope you write about baby Snakes. Please write back soon!!!!!!!!!!!!!!!!!!!!!!!!! Hi Ginjer when you came to my school Gayton you told us that you love elephants I do to. I’m thinking of making a elephant book of my own so can you please write me back and tell me more about elephants I rely want to know more. P.S. Can you write a book about baby pandas or write about baby giraffes please thanks. Do you thank you could write a book about baby zebrus if you could please send a copy to are school. Thanks!!!! Hi, Gracie. I agree that zebras are fun animals and the babies are super cute. I’m not sure I could make a whole book out of them, but I will try to put them in one of my books. Thanks for the idea, and happy reading!